Draughtsman Grade II - Essential: (i) Matriculation or its equivalent from a recognised Board or University. (ii) Two years’ Diploma in Mechanical Drawing or Civil Engineering or Mechanical Engineering or Electrical Engineering or Draughtsmanship (Mechanical or Civil) from an Industrial Training Institute or equivalent recognised institution. (iii) About five years experience in Draughtsmanship in a Government Institute. Lower Division Clerk (LDC) - (i) 12th Class or equivalent qualification from a recognised Board or University. (ii) A typing speed of 35 words per minute in English or 30 words per minute in Hindi on Computer. (35 words per minute & 30 words per minute correspond to 10500 Key Depressions Per Hour/9000 Key Depression per Hour on an Average of 5 Key depressions for each word). Note: The skill test will be conducted on computer only. Hindi Typist - (i) 12th Class or equivalent qualification from a recognised Board or University. (ii) A typing speed of 35 words per minute in English or 30 words per minute in Hindi on Computer. (35 words per minute & 30 words per minute correspond to 10500 Key Depressions Per Hour/9000 Key Depression per Hour on an Average of 5 Key depressions for each word). Note: The skill test will be conducted on computer only. Coppersmith & Sheet Metal Worker (C&SMW) - (a) (i) 10th pass from a recognized Board or Institute. (ii) Industrial Training Institute certificate in the trade of Copper Smith and Sheet Metal Worker from a recognized institute with one year experience in relevant field. OR (b) Ex-Servicemen in appropriate trade viz. Workshop Fitter (C& SMW). Painter - (a) (i) 10th pass from a recognized Board or Institute. (ii) Industrial Training Institute Certificate in the trade of Painter from a recognized institute. OR (b) Ex-Servicemen from appropriate trade viz. Painter. A/C Mech - (i) 10th pass from a recognized Board or Institute (ii) Certificate Course from a Government recognized Institute in the trade of Aircraft Mechanic; (iii) One year experience in relevant field; OR Ex-servicemen in the trade of Air Frame Fitter with two years experience in the relevant field. Instrument Repairer - (a) (i) 10th pass from a recognized Board or Institute. (ii) Industrial Training Institute certificate in the trade of Instrument Repairer from a recognized institute; OR (b) Ex-Servicemen in appropriate trade viz. Instrument Repairer or Instrument Technical. Tailor - (a) (i) 10th pass from a recognized Board or Institute. (ii) Industrial Training Institute certificate in the trade of Tailor from a recognized institute. OR (b) Ex-Servicemen in appropriate trade. Cook - Essential : (i) Matriculation with six months experience in the trade OR Ex-Serviceman with similar qualification. Laundryman - Essential : Matriculation pass or equivalent qualification from a recognized University or Board Desirable : One year of experience as Laundryman from an organization or institute. Mess Staff - Essential : Matriculation pass or equivalent qualification from a recognized University or Board. Desirable : One year of experience as Waiter or Washer – up from an organization or institute. Multi Tasking Staff (MTS) - Essential : (i) Matriculation pass or equivalent qualification fro a recognized University or Board. Desirable : One year of experience as Watchman or Lascar or Gestetner Operator or Mali from a organization or Institute . House Keeping Staff (HKS) - Matriculation pass or equivalent qualification from a recognized University or Board. Fireman - Essential: (i) Matriculation or equivalent qualification from a recognized board/university. (ii) Must have undergone training in Fire Fighting under a state fire service or a recognized institution of repute. (iii) Must be conversant with the use and maintenance of all types of extinguishers. Hose Fitting and Fire appliances and equipments like fire Engine, Trailer Fire Pumps and Foam Branches. (iv) Must be physically fit and capable of performing strenuous duties and must have passed the test specified in Note-1 below OR Ex-serviceman of appropriate trade. 3. Eligible candidates can apply to any of the above Air Force Station of their choice subject to the vacancies and qualifications. 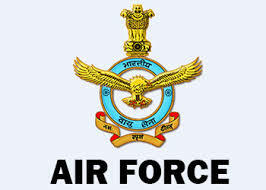 Application as per format given under (typed in English/Hindi), duly supported with the following documents is to reach the concerned Air Force Station (Address Mentioned in Official Notification) by post so as to reach us by 29.04.2018. (a) All documents in support of Education Qualification, Age, Technical Qualification, Physically Handicapped, Experience Certificate & Caste Certificate (issued by the competent civil authorities in case of SC/ST/OBC candidates) etc to be accompanied with the application should be self attested. (b) In case of appointment of OBC candidates against their reserved quota their caste Should be listed under Central List of OBCs as candidate belonging to castes listed under Central list only are eligible for appointment to Central Services. The latest rules with regard to creamy layer in OBCs are to be followed. Candidates seeking reservation as OBC is required to submit along with application a certificate to the effect that he does not belong to any of the crème layers. (c) In case of ex-serviceman self attested photocopy of discharge book is to be submitted along with the application.